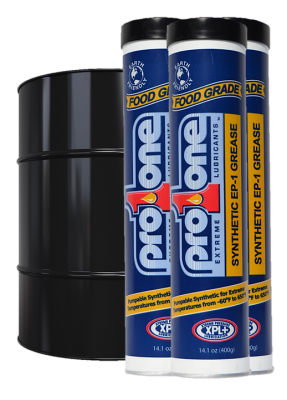 Heavy duty full synthetic multipurpose grease designed for extreme temperature conditions or where low and high speed bearings share the same lubricant. Delivers increased parts life, reduced downtime and outstanding protection in the harshest EP, temperature or corrosive environments. - Operates from -60°F to 650°F. - Heavy load carrying ability. - High resistant to water wash.
- Displaces water and moisture. 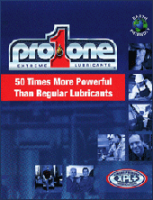 - Moisture barrier controls corrosion. Extreme Pressure Performance from – 40°F to 615°F !